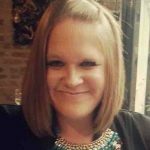 I am a qualified Primary School Teacher based in Newark on Trent in Nottinghamshire, with over 10 years’ experience of both classroom teaching and one-to-one tutoring. I am able to provide both professional and character references as necessary. If there is a particular subject that you are interested in, but that isn’t included in the list above (particularly at Primary level), please contact me and I will endeavour to help. I have experience of working with children from a range of different backgrounds and with a range of different needs. I am able to fully tailor sessions to the individual requirements of the pupil and offer regular feedback. I am also happy to teach to small groups of children (a maximum of four) and offer discounted rates to siblings being taught in the same session. 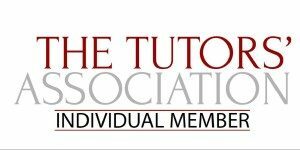 I am happy to tutor either at my home in Newark on Trent, or at a place to suit the student. I am able to travel within 20 miles of Newark, covering parts of Lincolnshire and Nottinghamshire. Distances above this would incur a small fee per mile to cover fuel costs. Should you wish to discuss your needs further, please contact me. I am flexible and have the knowledge and enthusiasm to make learning fun. "I found Katie at all times to be totally professional and would have no hesitation in recommending her to anybody in need of extra support and guidance."